The best words a significant other can say are “Can you print me something that does X?”. This past weekend my spouse asked me that very question. 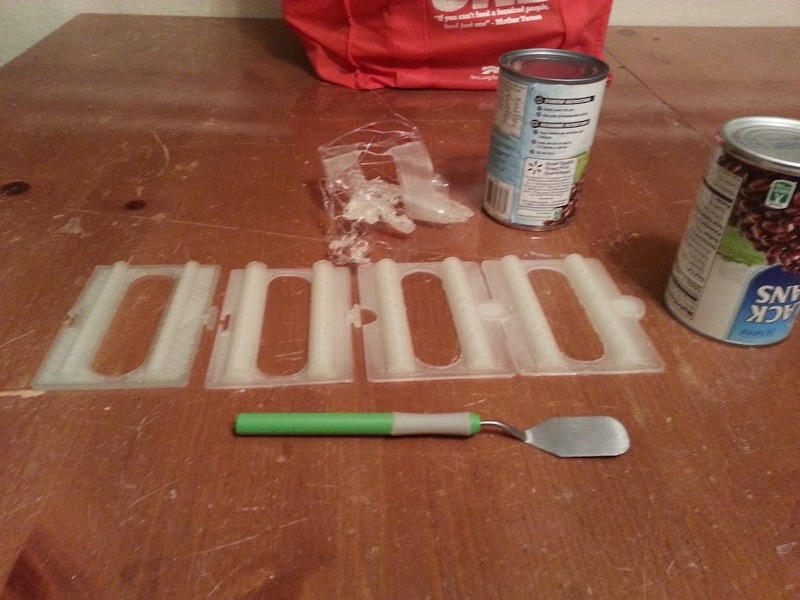 She wanted to know if I could print her something that would help her organize cans in stacks in our pantry. A quick search on thingiverse revealed that no-one had tackled this particular household problem before so my wife and I went to the drawing board. We sketched out a quick design and then I sat down and started coding away in openSCAD to actually create the 3D model we’d need. The power of openSCAD and CAD programming languages like it is that they enable iterative and parametric design. 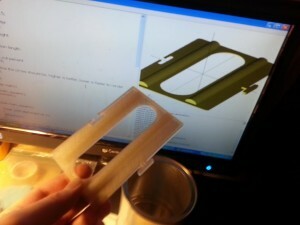 I was able to quickly work up our basic idea, make a few measurements, change a few variables and then print the model. The first iteration wasn’t perfect (usually never is). The base was too big, the bumps too small, and the anchors were just too tight. I was able to quickly adjust the design by simply changing some variables and print it quickly. Two more iterations later and I ended up with something more like this. 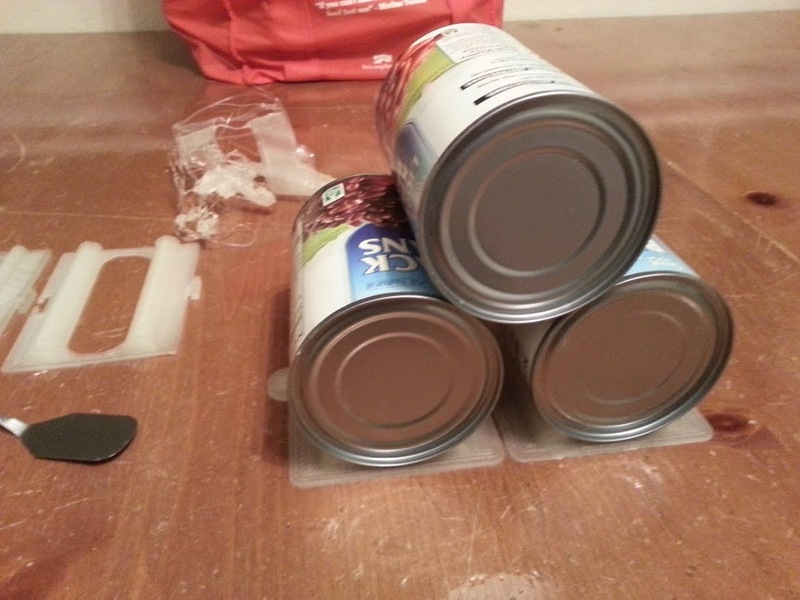 The finished part works for the cans that I designed it for and is expandable. Each plastic part can connect to another to expand the rack out and up. I decided to just have the tabs nest and then use a dab of epoxy (you could use tape, or super glue) to seal the tabs together. The plastic is so slick on the bottom that the weight of the third can will just push them apart.